Bidsonline’s online web reporting allows vendors to view all reports, set reserves, approve rectification work and book transport for items to be taken to the auction. 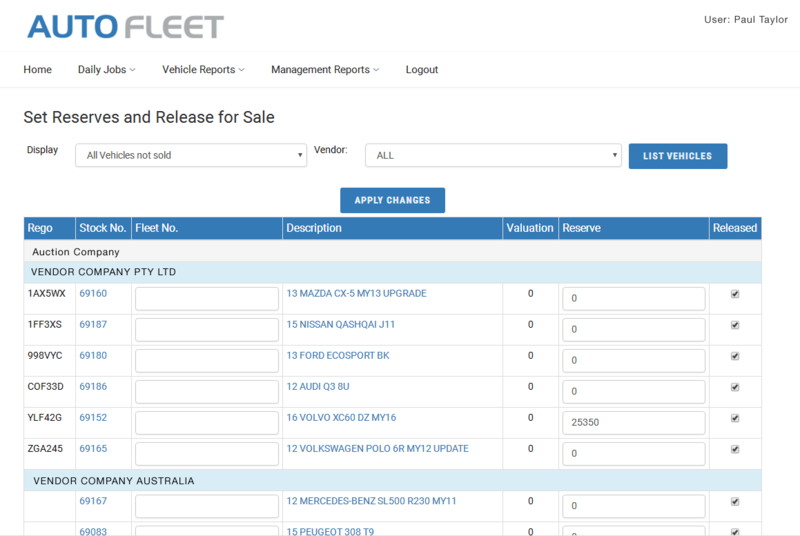 Automatically coupled with Bidsonline’s Carsplus and TPE Auctions software vendors are kept fully informed of the progress of their items through the auction. As soon as an item is sold from the auction box it is reported in the post auction report. Payment and sales advices are available to your vendors as soon as the payment is drawn. Vendors are able to create tasks and view notes on their items, this keeps all correspondence regarding the items in one place.